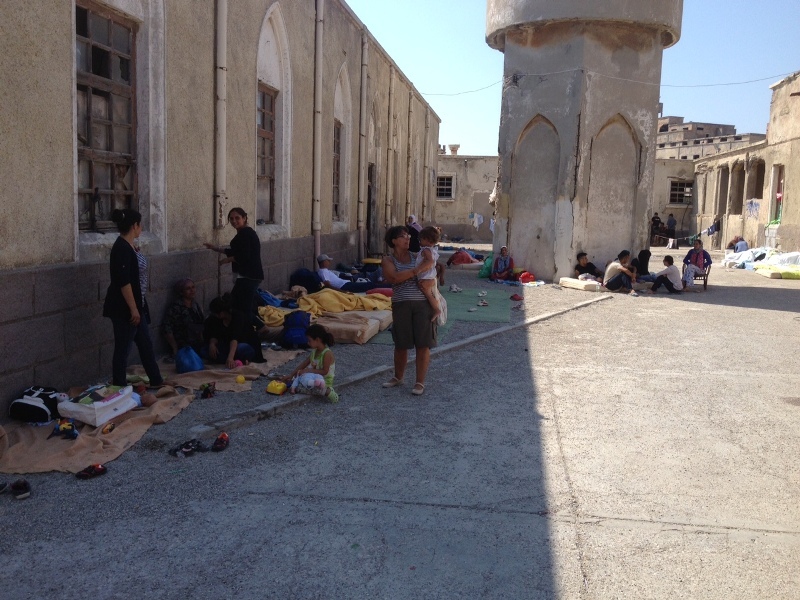 Refugees in Rhodes and Kos. September, 2015. The Aegean islands have always been a melting pot of many cultures, tourists and migrants are no strangers to the people who live here. However, the last months has seen an overwhelming influx of refugees from Syria, Afghanistan and other Middle East and North African countries. The Syria refugees are fleeing the terrible war that has devastated their country over the last few years. 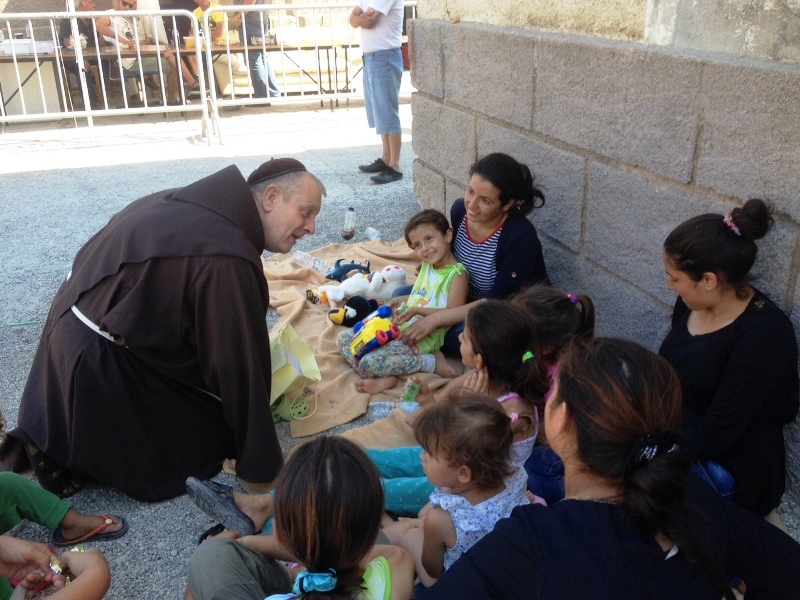 I write about the two islands where the Franciscans have parishes, Rhodes and Kos. The news depicts daily the poor Syrian families living in the street. 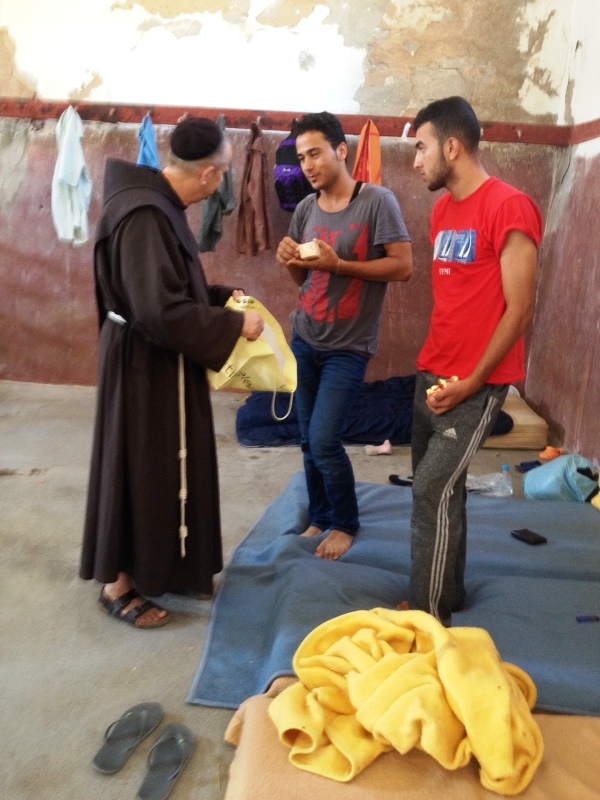 The sadness of seeing these people arriving in flimsy plastic dinghies is heart breaking. They have left house and home and arrive only with what they can carry. The other side of this tragic story is the outpouring of goodness and compassion from the residents of Rhodes and Kos has been admirable and above all practical. The local hotels are providing hot food twice daily and the locals gather the other necessities of life, such as soap, shampoo, tooth paste. Everyone has a right to feel clean and dignified. For some years now the parishes have collected food to make a food bank for those who come daily to the monastery door. The economic crisis has meant that ordinary local families can no longer sustain themselves. People work for six months during the tourist season and then ? The Government used to sustain the people with a small amount of money during the winter months, now that has stopped. The parishes provide good and toiletries for those in need. The numbers are growing, the demand increases for help. It is pitiful. Now to this country that is suffering financial hardship the poor people of Syria arrive. The Greeks share what little they have. The people attending the Sunday Masses have been marvellous. They have brought food and toiletries from the local super markets, others have given donations. I often ask the people to bring chocolate so that the children have a treat every day. They are innocent of the political woes that created this mass migration and cannot understand at all what is happening to them and their families. They smile when I speak to them in Arabic with my strange accent, but to see the smiles on those little faces is enough reward. I was beginning to wonder and worry what would happen to the refugees when the hotels close on November. Who would bring hot food ? God always provides. 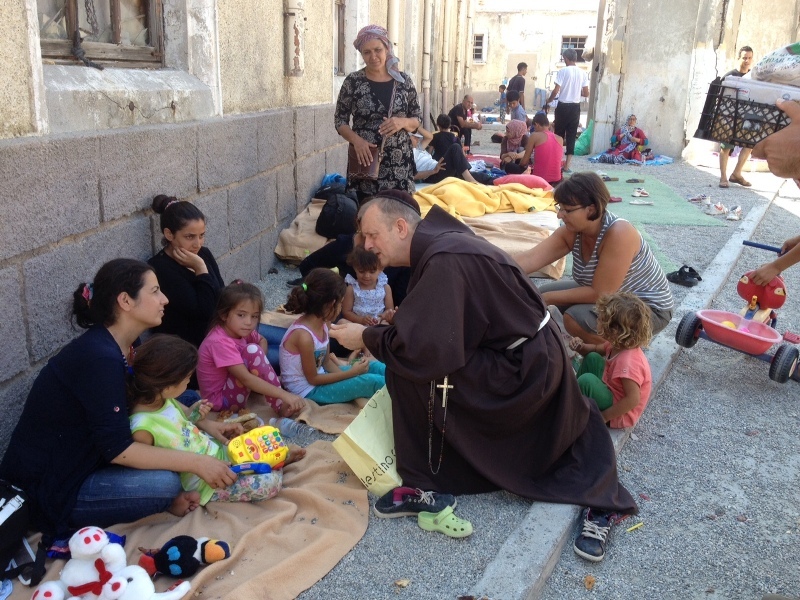 Last week Caritas from Italy have secured money to buy food throughout the winter months. The Knights of Malta even from afar as the United States are offering to help. We must never despair. God is always near at hand even in the darkest times. Tragedy and sorrow stirs up the human heart to be compassionate and merciful. It is evidence here in Rhodes and Kos. As the scriptures tell us: the Caritas Christi urget nos.-The Charity of Christ leaves us no choice!